An immaculate manicure; smooth, unchapped skin; a slender, graceful wrist—no washer-woman hands here. At once surreal and serene in its mudra-like imagery, this 1947 affirmation of the superiority of the Bendix automatic washer appeals to the imagination on several levels. 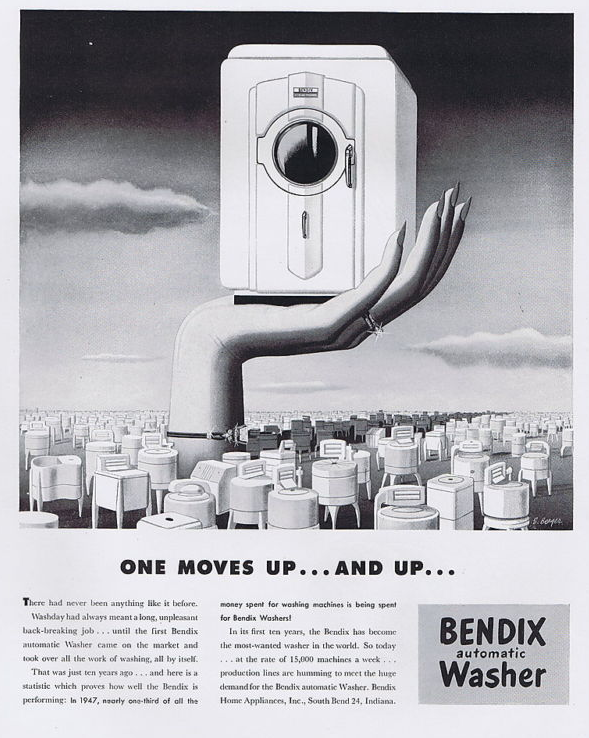 I can't help but feel a little sorry for the ungainly lot of wringer-style appliances lost in the long shadow of the Bendix; once upon a time, they were the epitome of modern efficiency. Ah, unsentimental progress.